Ruth Binger advises entrepreneurs who found family-owned, closely held, or multi-national companies. Ruth’s clients fall mainly into these industries: manufacturing and distribution, professional services firms (including marketing, web development, and software development), transportation, and retail. She provides counsel on employment issues, intellectual property, digital law, cybersecurity, and corporate structure and governance, guiding her clients to preventive solutions. In addition to her work with her clients, Ruth facilitates several independent business owner peer advisory boards. Due to her experience representing businesses and facilitating the advisory boards, Ruth’s clients look to her for the most appropriate and effective legal strategy. 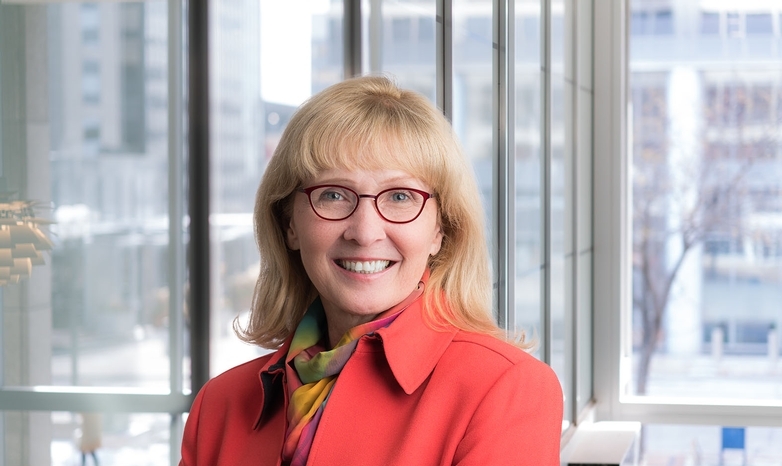 A leader in the firm, Ruth heads Danna McKitrick’s transactional group. This group includes mergers and acquisition transactions, tax, employment, cybersecurity, banking, intellectual property, real estate finance, international law, securities, business and commercial law, securities, and dispute resolution. She is also a marketing co-chair and recently served on the executive committee. Corporate and Business. Guiding clients on formation, structure, governance and exit strategies, Ruth also crafts and reviews contracts for licensors/licensees, franchisees, consulting, and joint venture agreements. Intellectual Property and Digital Law. Ruth works in the ever-evolving arena of intellectual property and digital law. She handles trademark and copyright registration, and enforcement and related transactions, including joint ventures, licensing, and corporate partnering. Ruth counsels clients on privacy, advertising and communication law with respect to social media advertising on the web. She also helps clients create and implement strategies and solutions for industry-specific data privacy, usage, and cybersecurity protection obligations. Employment. Ruth has extensive experience in the mitigation, avoidance, and resolution of employment and labor issues. Ruth provides proactive counsel and advice to her clients, including preparation of employment manuals, noncompete agreements, confidentiality agreements, employment agreements, human resource legal strategy, intellectual property protection agreements, and executive incentive plans.